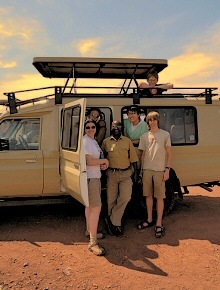 Day 1 Transfer to Murchison Falls National park. You will wake up early, have your breakfast and then go for the early morning game drive at the Northern bank of the Victoria Nile from where you will have the opportunity to see the Lions, Leopards, be sure to see the Giraffes, Buffaloes, Elephants, you might also be lucky and see the African Python, among so many other savannah wildlife. You will return to the lodge by mid morning, relax till lunch and in the afternoon after your lunch, you will go for a launch cruise which takes you to the Bottom of the falls and while on the boat, you will see lots of hippos, so many Crocodiles and many other wildlife as they graze along the river banks and others taking some water. You can also go for hiking to the top of the falls from the bottom where the boat ride ends but this is optional and at an extra fee however those that are not interested in hiking, you will ride back on the boat and then drive back to your hotel. Day 3; To Kibale National park / Fort portal. You will have your breakfast in the morning and then your guide will take you for briefing before you start your chimpanzee trekking adventure. The trek takes between 1-3 hours and during the trekking, expect to see other types of primates like the most grey-cheeked mangabey and red-tailed monkey. There will be plenty of bird and you will hear them singing the forest although it may be very hard to spot them and its better looking out for them in the rest of the camp and along the road. After trekking, you will walk out of the forest, have lunch and head for Queen Elizabeth National Park via the foothills of foot hills of mountain Rwenzori. You will have an evening game drive before you go to your lodge for dinner and sleep. You will have your full breakfast and then go for a game drive along Kasenyi track to see the herds of Buffalo, Elephant, Warthog and Lions can easily be spotted from this part of the park as they are normally there waiting for their prey. At mid morning, you will go back to the lodge to relax as you wait for your lunch to be served in the afternoon. 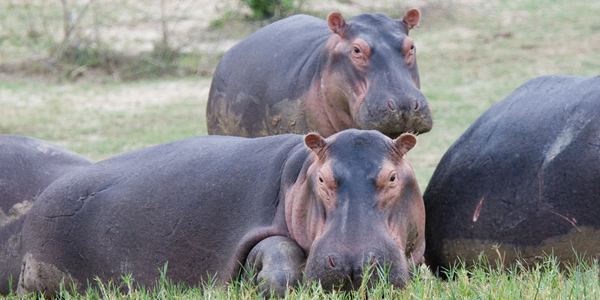 After lunch, you head out for a two-hour launch cruise along the Kazinga channel that connects Lake Edward and Lake George and this offer the visitors a chance to encounter a large population of hippos as the swim in the water , crocodiles and various bird species common to the park since there are over 550 resident bird species. After the boat ride, you will go back to the lodge for dinner and overnight. Moderate – Mahogany springs/ Gorilla mist lodge/ gorilla safari lodge/Lake Kitandara lodge/Chameleon hills. After breakfast, you will go for briefing and registration at the headquarters before 8 am. You will get Uganda Wildlife Authority a ranger guide who will guide you through the jungle and help you spot the gorillas as he will know where they were the day before. He will provide you with all the information that you may need about the animals and the vegetation. You will need to carry your lunch because tracking will take hours between 1-10 hours and the one that they will give you to spend with them and watch them play with each other, feed their young ones and care for each other which will give you the best memories of your trip. After Gorilla trekking, you will walk back to your lodge and if you have some time, you will go for a community visit(the Batwa community) but this will be at an extra cost. Day 8; Bwindi to Lake Mburo Park. Day 10: Jinja – Kampala. Breakfast will be at your hotel and then go for white water rafting and enjoy half day water rafting and then later after rafting, you will go have your lunch. After lunch, you will transfer back to Kampala, have a stop over in Mabira Forest for a short forest walk and this is at an extra cost. After the walk, you will head to Kampala or to Entebbe if you have a flight to catch. End of Best of Uganda Gorilla Safaris.